I seem to have a lot of irons in the fire right now, and I’m trying to figure out how to simplify and move forward. Today: some odds and ends. The big project of enigmatic mystery is progressing, and while it won’t be ready before winter is over, as originally promised, it will be ready. It just means more rounds of writing, editing, arranging, and so on. But I’m pretty sure it’s going to be better than we thought. 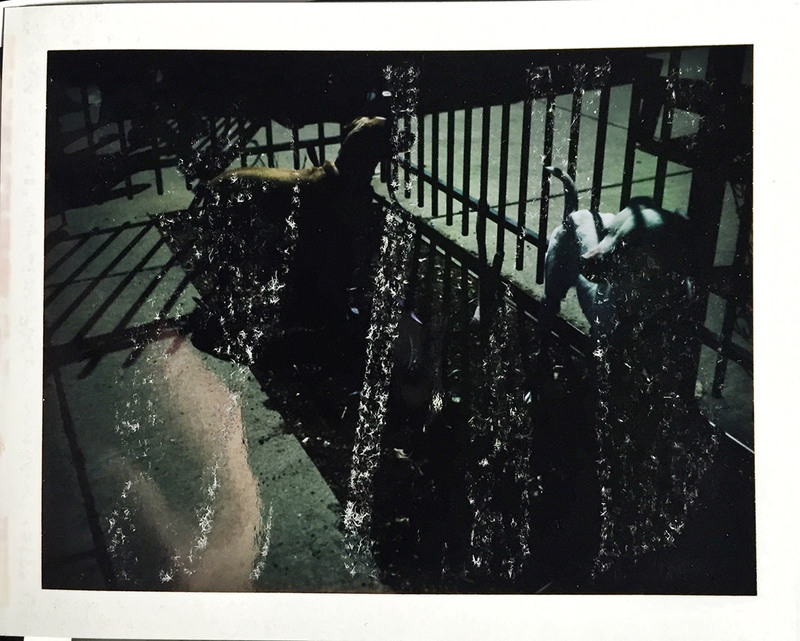 I’ve been participating in an awful lot of things lately — not just organizing Expired Film Day, but also joining in on the #InstantApril fun, #BIFscale16, judging for the Ultra Polaroid Boogie 2016, 120 Love Day, Holga Week 2015, and helping out with Kate’s Katchabird Knits YouTube channel. At the same time I’m trying to divest myself of some cameras that didn’t make the cut to live on the wall permanently, considering setting up a storefront for prints and such, and, somewhere in there, hoping to make more actual photographs and start printing them. Another contest/event (and another iron in my fire), No Gear No Fear asks film photographers to level the playing field by competing with nothing but a single-use camera. 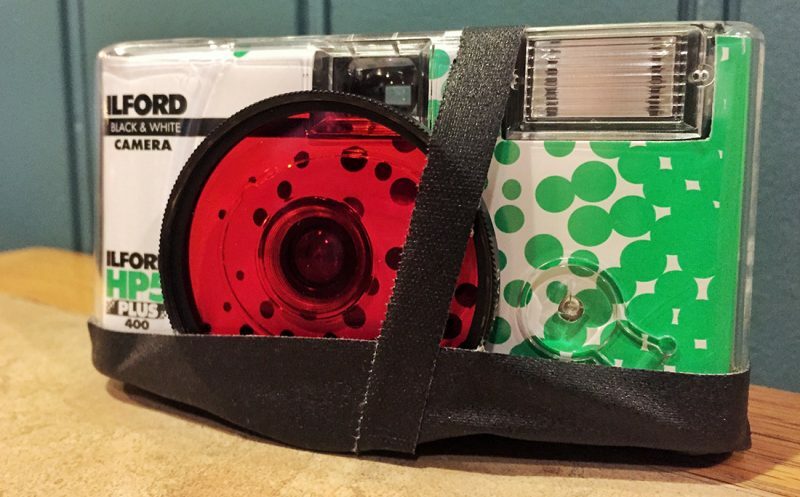 You don’t even get to develop the film — just buy the camera, shoot it, and send it in! 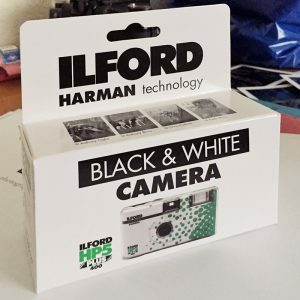 Start with an Ilford HP5 Plus one-time-use camera, and use your 24 (actually, 27) exposures to get 6 photos in each of the following four categories: Street, Architecture, Landscape and Portrait. Get multiple cameras if you want to run through some tests beforehand. Send the camera to Ribnar and he’ll process them, scan them, and upload them to a shared location where you’ll get to take a look and pick out the four best in each category to enter in the competition. There’s film for the winners, and the judges are some pretty awesome blokes. The whole thing takes place in May-June — the shooting, specifically, runs May 1-21. Then you’ll have until June 5 to get your camera mailed in (you might plan on mailing it early if you’re overseas!). I’m testing out one of these cameras right now. I did a little research and found that the thing has a 30 millimeter lens (roughly), a fixed f/9.5 (ish) aperture, and a fixed 1/100 second shutter speed. There’s a button to activate a built-in flash, which is supposed to turn on the flash when you hold it down for 1-2 seconds (my first one doesn’t seem to work that way consistently, so I’ve just been holding the button in when I want flash). 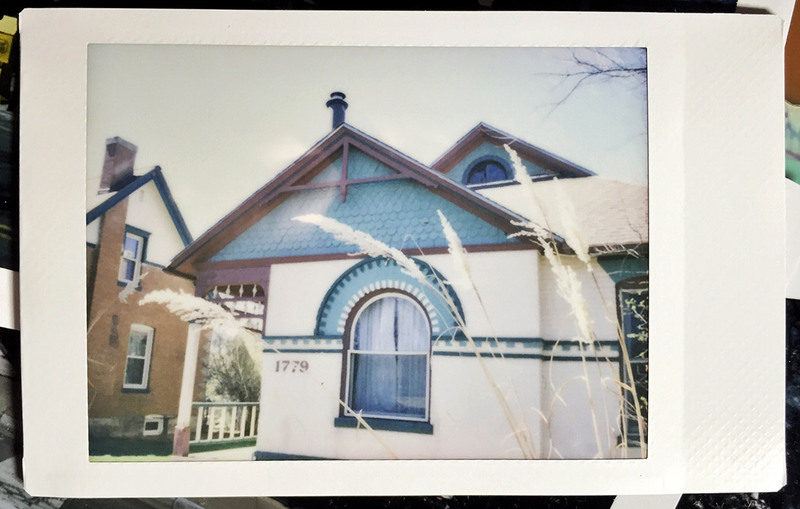 So I did a little calculating: ASA 400 film, at f/9.5 for 1/100 second is something in the range of three or four stops overexposed in bright sunlight, right? So now it’s got a big, red Nikon 25A filter strapped on the front with gaffer tape, because I figure 1-2 stops overexposed in full sun is plenty, and I can shoot in partial shade with the flash on without having to take the filter off. Probably. We’ll see when I process the first roll! 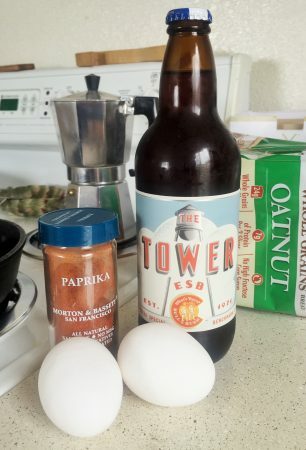 They led with a recipe for Ansel Adams’ Eggs Poached in Beer, which I tried this weekend. I followed the directions pretty closely. One issue I had was not being sure when the beer was just shy of boiling … it developed such a head in the microwave that I couldn’t tell if there were any bubbles underneath it. This being Colorado, I used Ancho chili powder as one of the un-explained “spices,” along with garlic salt and my recent favorite, Penzey’s Pepper. It was terrible. Sorry, Ansel. Look, a lot of factors could’ve gone wrong here — not least of which was my selection of beer. Bull and Bush‘s ESB is only so-so to start with. A little too much malt for my taste, but I thought maybe it would fit the bill. Too much or too little heat, the fact I poached the eggs a little harder than I would’ve liked, the spices… Maybe Ansel was just pulling one over on us? It was really, really awful. I tried to rescue it by pouring some emergency Hatch green chilis, diced onions and Monterey Jack cheese over the top, smothering it with southwestern goodness, but to no avail. I hate to waste food, but it went in the oubliette. Fortunately the breakfast sausage I stumbled on while grabbing the other ingredients was a hit, so I didn’t starve. After these remaining contests and events are over, I’ll be stepping back a bit from that kind of thing. I’ll still be around on Twitter and pop into the relevant hashtags, sure, and I may even participate in some of the quick things. But I need to focus on making pictures and moving forward with serious things. To that end, I’m also going to back off on reviewing old cameras. Don’t worry — I’ve still got plenty in the hopper, and I’m not going to stop entirely. But once my current backlog and camera stash is gone through, reviews will become less frequent and probably only happen when there’s something especially awesome or unique to write about. I’ve probably got enough cameras and test photos to keep posting regular reviews for the rest of 2016, so this is something that’s going to happen little-by-little. I hope to transition to writing more about photography itself, and would welcome any input on the kinds of things you’d like to see on my blog in the future.